Wash the asparagus with cold water and cut off the white parties. Boil in salted water for 9 minutes. Drain the asparagus one by one, not break the tips. On a greased baking sheet place the asparagus. Roast in the preheated oven (220°) for 4 minutes. Cook the eggs in a greased frying pan. 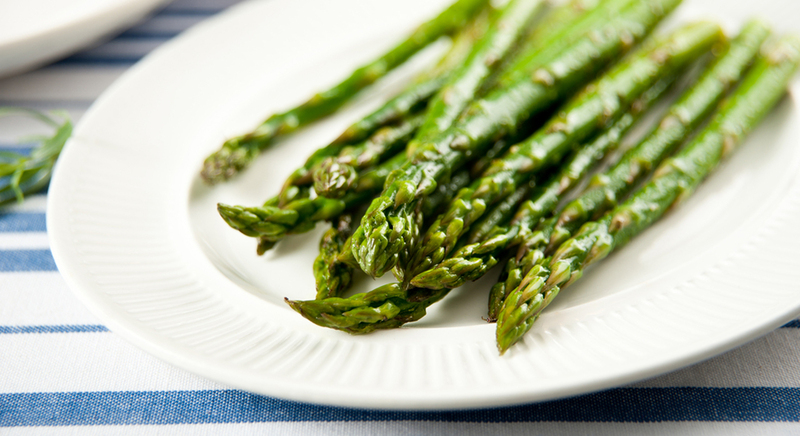 Serve the asparagus covered with parmesan cheese and fried eggs. Salt, pepper and season with balsamic vinegar.